NEOPIA CENTRAL - Yup, a guide on the infamous machines of Neopia. Some are good, some are bad, and some really just have no use. There are several of 'em, and here they are, one by one, up close and personal. Yeah, you knew I was gonna start with this one, didn't you? Well, you were right! This machine uses little star shaped golden thingies called nerkmids. Little size, big power. You insert a nerkmid, pull a few levers, push a few buttons, and *WHAMMO* out pops your... worm nugget? Oh, well, better luck next time. Don't worry if you feel like kicking the machine in agony. That's perfectly natural. Just take a deep breath and drink a cup of hot borovan, or maybe a carton of Kau Kau milk. Now, don't you feel better? Personally? I never have used this machine, and probably never will. I prefer the Shop Wiz. Faster, easier, and better, but for those dubloon'o'maniacs out there, here goes. Apparently, the only purpose for this machine is to exchange smaller dubloons for larger ones. Example? Okay... if you have two 1 dubloon coins, and put them into the dubloon'o'matic, then what will come out? A 2 dubloon coin! Presto, chango. Okay, moving on. This is a newer one, only out for about a week, at the time this guide was written. Anyway, this one's pretty good, and completely free, which makes it cool. Hehehe... okay. Basically, you get a bag of Neopoints or a cool item for pressing a few buttons. 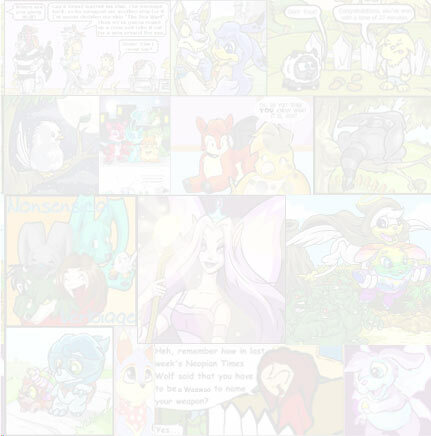 All I've ever gotten from this was 500 Neopoints, but on a few occasions you might get an item or even more Neopoints. Don't forget to look at the things that pop up! 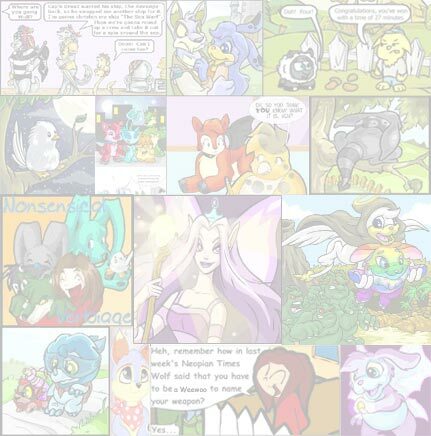 They're very important because they are what keep NeoPets completely free to everyone. Erm... this isn't really a machine, but it sorta acts like one, so I put it in here. Just chuck a bag of Neopoints in the well, and wish for something you want. I wouldn't wish for a Pirate paint brush or a Faerie Krawk, though, because all I've seen given out are stuff under 10,000 NP. Also, while you're there, yell in and see if it echoes! I've been wondering about that for a while. Well, that's it! There are more machines in Neopia, but these are the important ones you need to know. The main importance of these machines is to let you have fun in Neopia, and to help make it a better place for everyone. Please use these machines to the best of your ability and don't take them for granted! Until next time, Adios!